Peter Buffett is a singer/songwriter and the son of Warren Buffett. In 1999, he performed with Hawk Pope, chief of the United Remnant Band of the Shawnee Nation, at a benefit concert organized by Robert Redford. 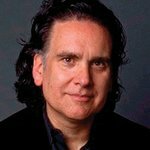 Peter Buffett is an Emmy Award-winning composer, author and philanthropist. His work with numerous non-profit organizations, including the NoVo Foundation, of which he is the co-chair, has helped him become a well-known activist for social concerns. Buffett has released 16 albums on record labels such as Narada, Epic, Hollywood, and his two own imprints, Beside and BisonHead Records. Socially conscious music collaborations by Buffett include the human-rights driven track “Blood Into Gold,” featuring Grammy-nominated recording artist Akon and “A Song for Everyone” featuring Angelique Kidjo. He wrote the New York Times best-selling book, Life Is What You Make It (Random House/Harmony Books). The book has sold over half-a-million copies worldwide, and has been translated in over 15 languages. 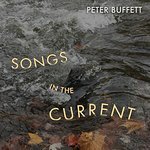 Google trends for "Peter Buffett"
From composer, musician, and philanthropist Peter Buffett comes a warm, wise, and inspirational book that asks, Which will you choose: the path of least resistance or the path of potentially greatest satisfaction?